We offer a range of housing solutions to help the people and communities of Birmingham to thrive. Our origins are within the social housing sector as part of The Pioneer Group before we progressed to buying properties in the Castle Vale area on the open market with the means to refurbish them to high standard. 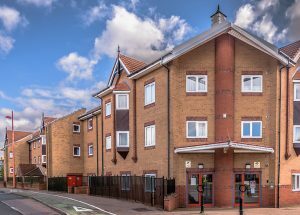 These properties are then let to customers at similar levels to private renting, however, we can offer our customers certainty around rent levels and length of tenancy which contribute towards Castle Vale remaining a stable community. Our market rented properties are now also available in Smithswood and Bromford. In 2018 we took an exciting step towards helping more customers find their ideal home by extending our housing products. We took on a section of land in Stechford that had lain neglected for a number of years and have developed an 83 property site. These homes offer a variety of tenures including outright sale, rent to buy, shared ownership giving people a chance to take that first step on the property ladder.